Low interest rates and an improving economy does not necessarily mean you can price your home as you choose. Fair Market Value, or FMV can be quite the moving target, based on continually changing conditions in the real estate marketplace. Like stocks, Now is a great time to buy a homebonds, and other investment items, real estate falls under that FMV category as well. So what is “Fair Market Value?” Quite simply, it’s the price that one is willing to pay for an item based on several value conditions. For real estate, it’s location, demographics, size, amenities, and honestly, what other similar properties have sold for. For example, if you have a 1,500 square foot three bedroom, 2 and a half bath home on a 6,000 square foot lot in Valencia, we’d begin to analyze recent sales of similar homes first in your tract, then perhaps we’d broaden the parameters a bit to see what homes sales were in surrounding neighborhoods for comparison. We would also take a look at how many similar homes are on the market in your neighborhood, so that we can begin to gauge the competition. More homes on the market (obviously) brings more competition. Not that this is a bad thing, as you may be able to turn that into your advantage. Santa Clarita is sitting on only a little more than 500 available homes for sale this month, so at least for now, there is not as much competition from other home sellers. This of course brings out more competition among home buyers, which again may work to your advantage. Does this mean you can ask whatever you’d like for a home? Unfortunately, no. Fair Market Value is also used by lenders, along with an official appraisal, to grant mortgage loans to home buyers. Pricing your home above FMV will typically compel buyers to run in the opposite direction. Believe it or not, even in this market, pricing your home at or even slightly BELOW Fair Market Value will drive buyers to your door. We know there are many sellers who don’t understand this strategy, but remember: The list price of your home is only a starting point. Most sellers think it’s a point that can be brought down by lowballing buyers, but it can also drive your home’s price upward based on the number of offers you may receive. This strategy follows a very easy formula: A lower list price has great potential to bring more buyers through your door. 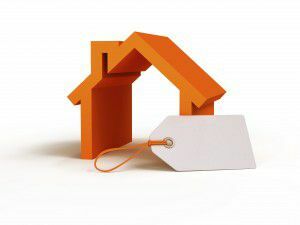 More buyers may equal more offers, putting the seller in a very good controlling position in countering multiple offers. Montemayor & Associates has a proven strategy to sell your home fast and for top dollar. We are a team of highly trained, licensed, full service, top producing agents in the Santa Clarita Valley. Our commitment to your success in realizing all of your real estate goals is our top priority. Whether you’re buying, selling, or investing, contact us at either of the numbers listed at the top of this page, or by using the Quick Response form below. Brandon Montemayor of Montemayor and Associates gives a brief "Montemayor Minute" regarding the housing situation in Santa Clarita, and why it's so important to price your home right. For more information, click on the link below.